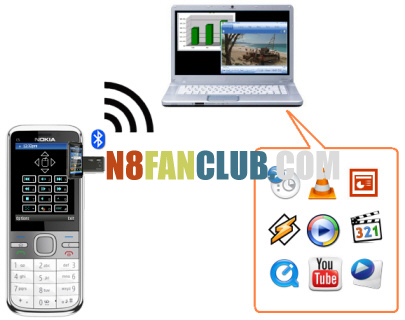 Remote Control for PC – an application for Nokia phone to control Windows PC presentations and multimedia players. 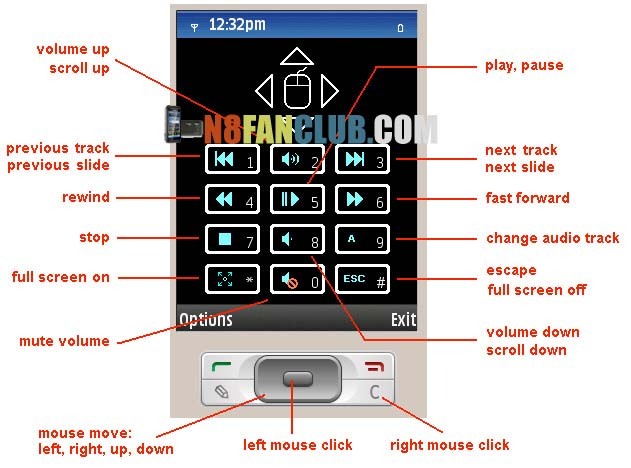 Remote Control for PC turns your mobile phone into a universal remote controller for Windows computer. The application is perfect for home entertainment and business purpose.The software will get you to remotely manage your PCs favorite apps, navigate with the cursor and perform mouse button clicks. Software supported: Microsoft Office PowerPoint, OpenOffice presentations, Winamp, Windows Media Player, WinDVD, VLC player, DivX player, QuickTime, Media Player Classic, MPC Home Cinema, Youtube flash player. 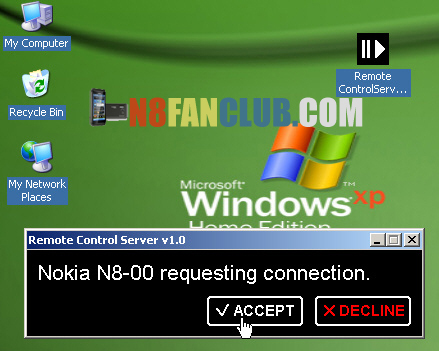 Windows XP, Vista or Windows 7 OS and Nokia S60 phone (both: 3rd and 5th edition) or Symbian^3 phone.